Zero drop runners that provide traction in a super-light set up. The minimalist upper moulds to your foot and the slimline midsole keeps you in tune with the ground beneath your feet. 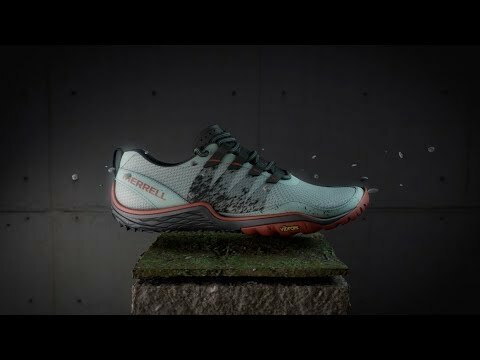 Features Merrell's Barefoot 2 construction for enhanced proprioception and stablilty through any movements you can muster. Mesh and printed TPU upper. Molded nylon arch shank for added support. 4mm compression-moulded EVA midsole provides light cushioning without disconnecting you from the trail. Vibram® TC5+ rubber outsole with 3mm lugs for flexible, grippy and durable performance. 11.5mm total stack height including outsole. Runs half a size larger than previous version.